Curious about which products in your shop are the most popular? We’ve taken product stats to the next level by breaking down how many times they’ve been viewed, sold, and how much money they’ve generated. This info helps you decide which products to restock, which ones you might want to feature, or which ones you might want to discontinue. Note: If you’ve accepted orders from more than one currency - for example, if you started selling in £ and later changed to $ - your Dashboard will only display sales in the currency you currently have selected in Settings. 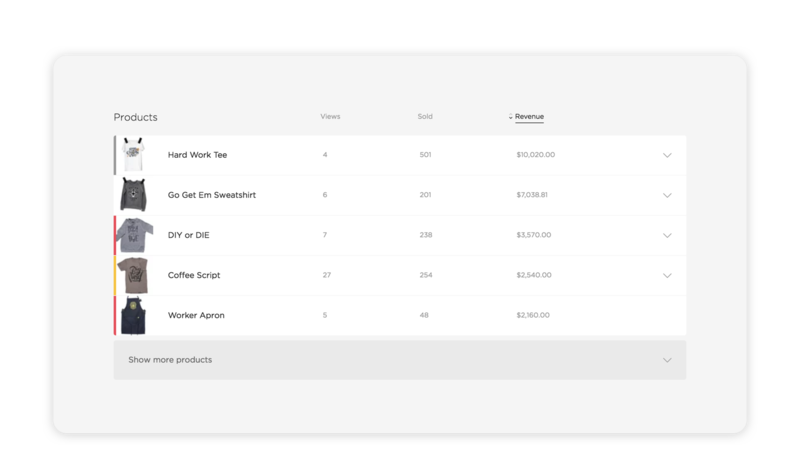 Click Views, Sold, or Revenue to sort stats in descending order. Click the Show More buttons to expand the list and display more of your products or categories. 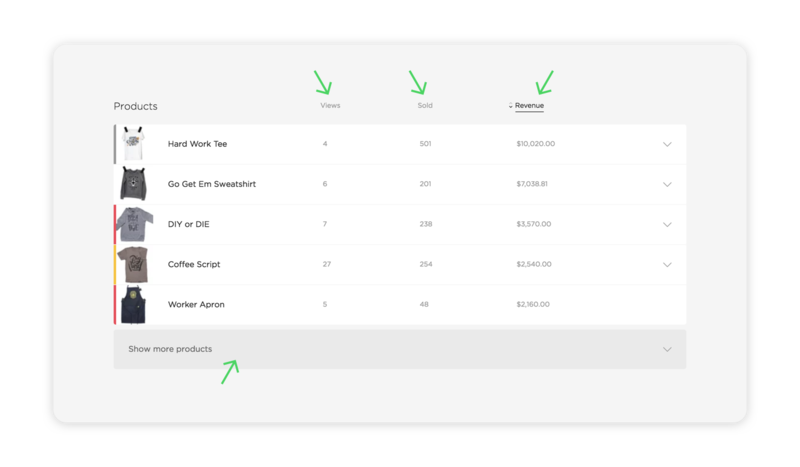 Under the Products and Categories headings, tap to sort by number of views, quantity sold or total revenue.